It was a Spanish one-two in front of a home crowd, with Beatriz Ferrer-Salat taking the top spot ahead of Claudio Castilla Ruiz at the fourth leg of the FEI Dressage World Cup™ Grand Prix Freestyle in Madrid, Spain. Despite Castilla’s crowd-pleasing performance and score of 78.915, Ferrer-Salat followed her win in Saturday’s Grand Prix with an effortless test, winning score of 81.285. Portugal’s Maria Caetano took third place with 77.655. 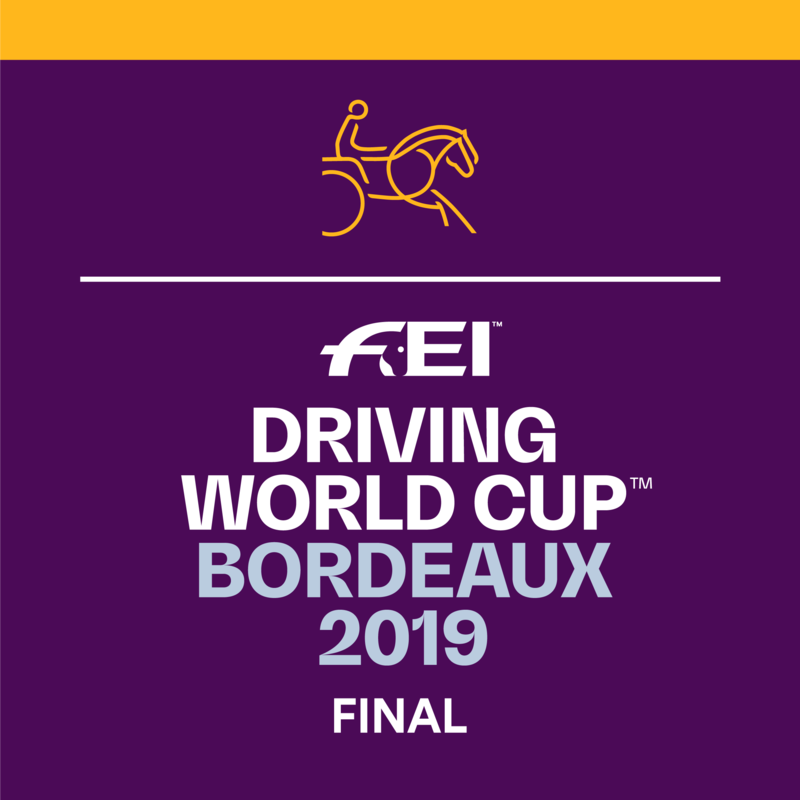 In an exciting day of equestrian action in Madrid, Germany’s Daniel Deusser took first place in the Longines FEI Jumping World Cup™, finishing ahead of Steve Guerdat of Switzerland and Sweden’s Irma Karlsson. 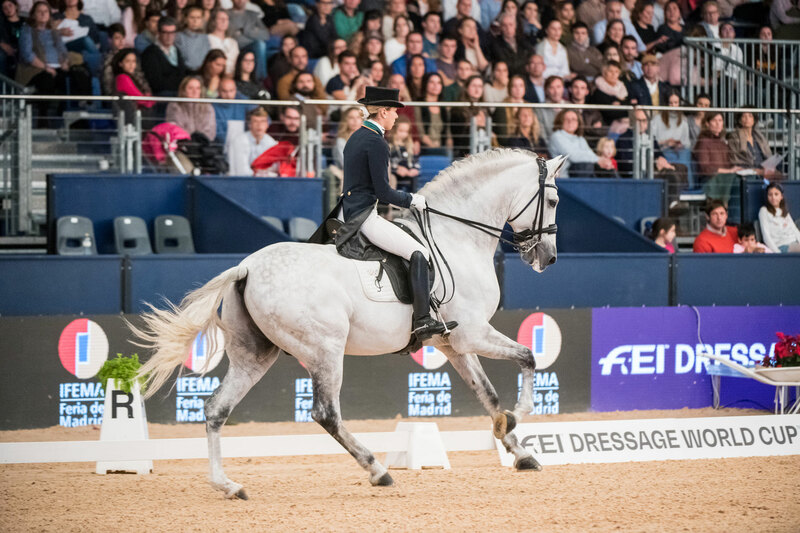 For the first time, Madrid played host to the FEI Dressage World Cup™ qualifiers, with the top 14 competitors from Saturday’s Grand Prix fighting it out in Sunday’s Freestyle competition. Bermuda’s Annabelle Collins made an impressive start aboard her 10-year-old Spanish bred stallion, Joyero VG. Scoring 73.995, Collin’s set the bar by taking an early lead, notching up marks with her difficult floor plan and achieving a personal best for her freestyle. However, Maria Caetano riding Coroado made the biggest impression before the break. Following on from their ninth-place finish in the Grand Prix, Caetano’s score of 77.655 was another personal best for the day and put her into the lead before the top seven would attempt to the contest it. Despite a home advantage and standing ovations from the crowd, Spanish riders Alejandro Asencio Mendez, Juan Antonio Jimenez and Juan Matute Guimon fell short of Collins’ lead. However, Spain’s Claudio Castilla Ruiz rose to the occasion to put on the performance of the evening. Making his first World Cup appearance of the season aboard the chestnut Alcaide, Castilla made his mark on the centre line one handed and to the delight of the home crowd became the new leader with just two left to go. Dutch rider, Hans Peter Minderhoud and the 14-year-old grey stallion, Zanardi could do no better than fourth with their score of 76.110. With British rider Richard Davison having to retire his 14-year-old gelding, Bubblingh, only Ferrer-Salat could challenge Castilla’s lead. Ferrer, a four-time Olympian, and 17-year-old chestnut gelding, Delgado, showed their experience, performing an effortless test to come out clear winners. “Delgado is very fresh lately and willing to perform - he’s very much with me still and I’m very proud of him!” Ferrer-Salat said. Earlier in the day Daniel Deusser claimed his second win of the Longines FEI Jumping World Cup™ season in the Spanish capital. The former world No.1, riding Tobago Z, claimed victory in a time of 46.73 seconds in a 10-horse jump off ahead of second placed rider, Steve Guerdat of Switzerland. Despite setting the pace, young Swede Irma Karlsson took the third spot. Attacking Javier Trenor’s jump-off track, Karlsson’s accuracy aboard the 10-year-old mare, Ida Bisschop, set the target in a time of 48.28 seconds. However, Deusser gave a master class in jump-off riding, shaving 1.55 seconds off her time. Guerdat’s attempt to challenge for the lead with his 10-year-old mare, Ulysse des Forets fell short of the leader, with a wider turn to the double three from home proving costly. The pair crossed the line at 47.12 seconds, leaving only Sweden’s Peder Fredricson to challenge the leaderboard. However, Fredricson riding H&M Christian K could do no better than 10th place, having finished their round on a total of 16 faults.